Young M.A has been very open about her sexual orientation yet being a lesbian hasn’t stopped Kodak Black from becoming infatuated with her. Kodak has been very public about his interest in her and she’s become annoyed by it. 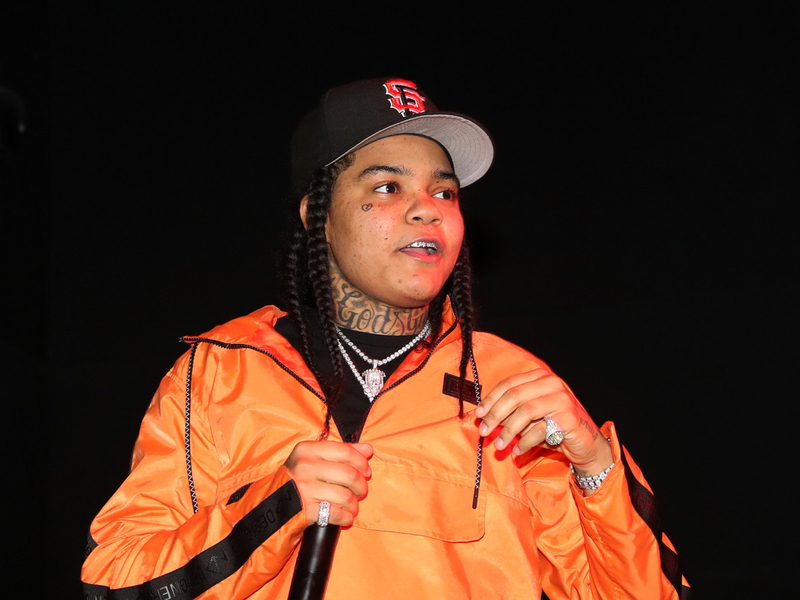 During a recent Instagram Live session, Young M.A addressed Kodak’s comments about her. Young M.A. mentioned she would try to speak with Kodak about the issue in person at the 2019 Pot Of Gold Festival in Phoenix. Both of them performed at the event on Saturday (March 16), but it is unknown if they spoke or crossed paths. Last month, Kodak couldn’t seem to get Young M.A off his mind. First, he commented “Both Of Y’all a Get It” on an Instagram photo of her and Nicki Minaj. Then, he released a song titled “Pimpin Ain’t Eazy” featuring multiple references to Young M.A. Listen to Kodak’s “Pimpin Ain’t Eazy” below.